We are a full-service organization, with a number of specialities. 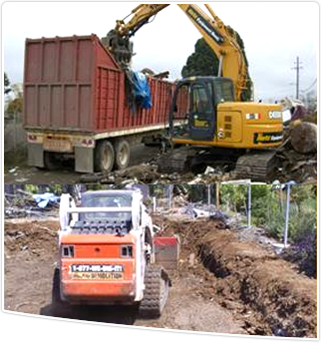 We use excavators for most jobs that involve digging trenches, excavating hillsides, stump removal, foundations, and any large hole in the ground such as swimming pools, hottubs, ponds, septic systems, etc. 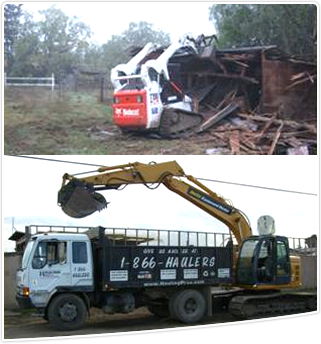 Our Bobcat Service is best for jobs such as concrete demolition, bringing down dirt levels to your specification, grading, sod removal, lot clearing. 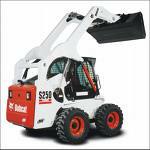 The bobcat service is also ideal for digging swimming pools, and excavating hillsides. Bobcats are very functional machines with an array of attachments and smaller size than a conventional backhoe, almost any job can be done very efficiently and with minimal ground damage.